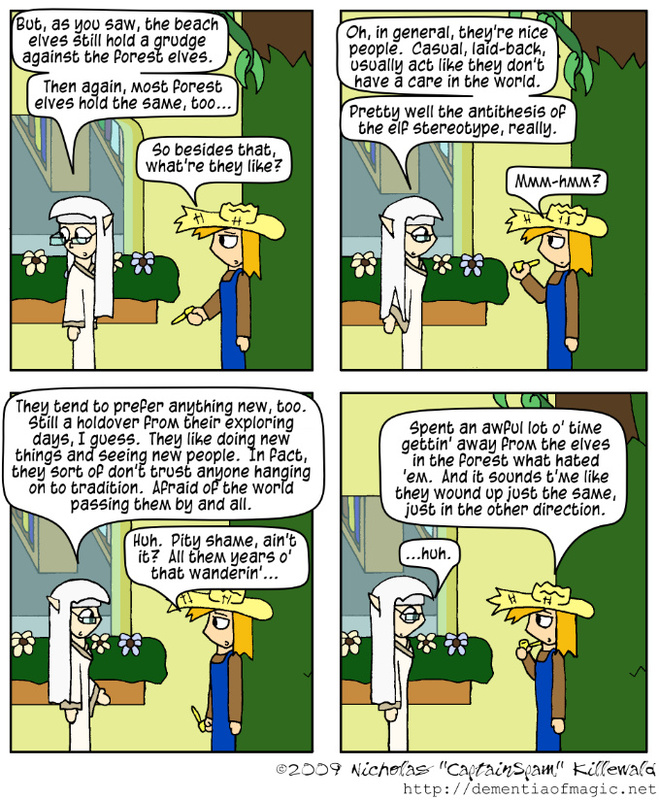 Some readers may note that during the last chapter, a forest elf and a beach elf were seen working together in Lineta Hall without reservation. Those same readers may have guessed that in Lineta Hall, such racism is generally ignored, owing to the slightly more enlightened nature of the people with desires to go there, as well as the large amount of neat stuff to to toy with that, for the most part, lets people forget such petty problems and get to the more important matters at hand, like having fun exploring curiosities and learning. To those readers: You're right, and I can't really add much to that.